So it was off to The Hamilton for lunch. The Hamilton is huge. I’m not sure how many dining areas it has, but it’s large enough to hold at least two long bars and its own music hall. The restaurant has the dark-wood-and-paneling look of a classic steakhouse, but the menu is modern and eclectic. Most days, it’s open from 11AM until 2AM, and a little later on weekends. 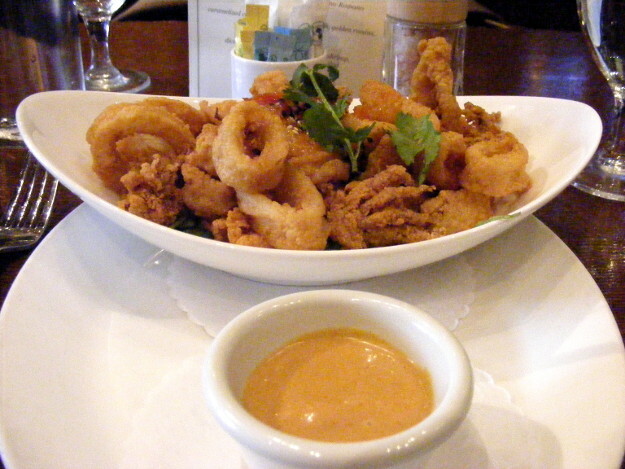 The starter: A generous serving of Cornmeal-crusted Sweet Chili Calamari, with Thai peanut dipping sauce. 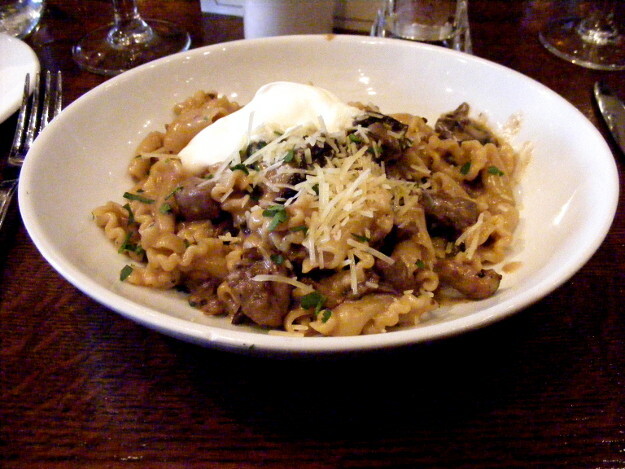 Beef Stroganoff had its heyday in the 1950s. I can’t remember the last time I saw it on a menu, but it was probably before the Millenium. And isn’t there a law that makes it a felony to serve Beef Stroganoff without offering Shrimp Cocktail as a complementary appetizer? 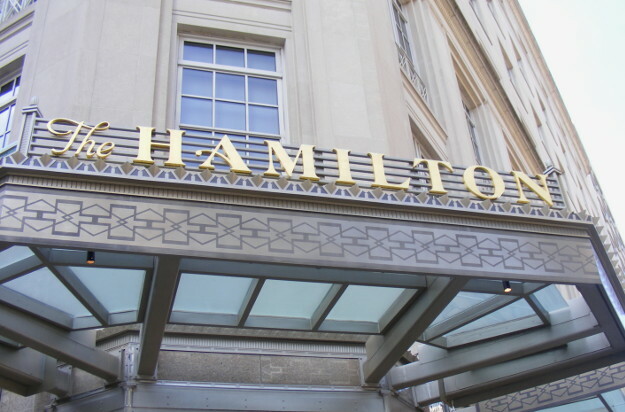 The Hamilton’s “modernized” version featured house-made campanelle pasta and a tenderloin and mushroom ragù, with crème fraiche and shredded Pecorino-Romano cheese. Once again, the serving was too large to finish in one sitting, so I took half of it home. 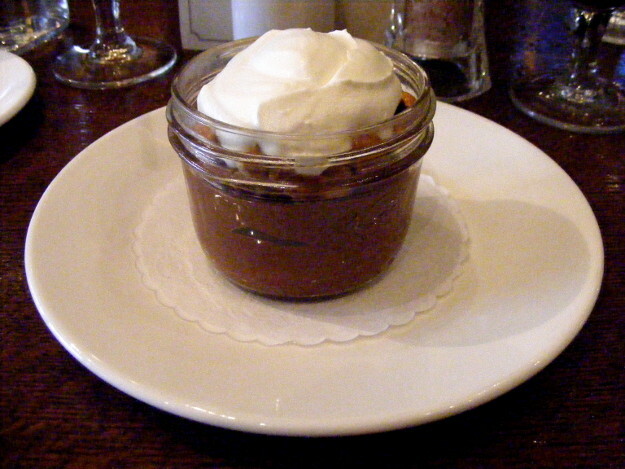 Hazelnut Chocolate Mousse for dessert. This entry was posted in Restaurants and tagged 2018 Winter Restaurant Week, Federal Triangle, Lunch, The Hamilton on 1 February 2018 by bcarter3.